Ashland's setting, history of wildfires, and increasingly long, hot, and dry summers put us at high fire risk each year. One piece of an overall strategy to better protect our community from wildfire was adopted by the City Council in 2018. 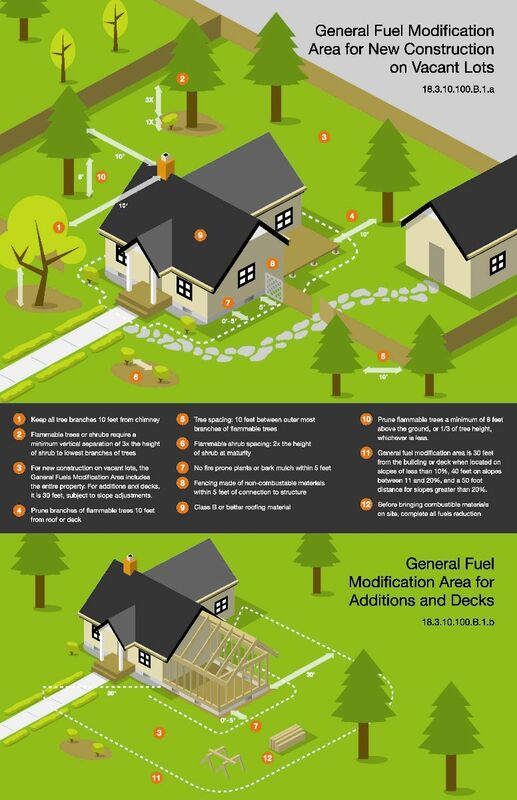 The expanded and enhanced wildfire safety ordinance now applies to all lots in Ashland, updates standards for development, and restricts new plantings of known flammable trees and shrubs on any lot in the city at any time. A separate Resolution was adopted to identify the specific plant species to be included on the General Fuel Modification Area Prohibited Flammable Plant List for application in Ashland’s designated Wildfire Lands. Additionally, this Prohibited Flammable Plant List distinguishes between plants that are not allowed anywhere within 30 feet of structures, and specific flammable plant varieties that can be sparingly planted outside of five feet from structures when following spacing guidelines for General Fuel Modification Areas outlined in Chapter 18.3.10.100. 9.04 Weeds and Noxious Vegetation.